Is Pune the new Bangalore? Tonight I’m sitting on the 24th floor rooftop terrace of the JW Marriott in Pune, India, marveling at the 360 degree view of the city. There is a buzz here, with a group of local software engineers celebrating a birthday, American techies here for meetings with their local outsourcing partner, startup founders, technology investors and young couples on dates simply enjoying the night. It makes me think of the transformation this city has had in the past ten years. My first visit to Pune was in 2007. Back then Pune was a burgeoning technology hub, anchored by the automotive industry with factories including Mercedes, VW, Land Rover and GM, and a few software outsourcing companies supporting US clients such as Persistent. Pune was, and continues to be, a youthful city with many universities and colleges. The Oxford of the East, as it is known, is a tremendous source of engineering talent. At the time of my first visit there was one western-branded hotel, Le Meridien. Today, the skyline is marked by dozens of new hotels – Marriott (with four properties), Hyatt, Westin, Ritz Carlton and more. Similarly, roads that used to be dominated by motorcycles and scooters are today crowded with automobiles. Clearly there is something going on here. Wealth is being generated at a ferocious rate across all classes. Like a lot of cities in India, Pune has grown immensely over the past decade. I’m told the population is now six million people. Or maybe eight million. No-one really knows. Nonetheless, this growth has created opportunities across all walks of life and sectors of business. Looking at the technology sector, the biggest transformation is in the startup scene. Ten years ago there was little talk of start-ups here. Young (and older) software engineers aspired to work for outsourcing companies or global in-house software centres, and perhaps get a chance to travel to the USA or Canada. Start-ups that existed were largely focused on IT-enabled services (outsourcing) to western companies. Like elsewhere in India, today the aspirations are shifting towards founding and working at startups focused on solving unique Indian problems, as well as addressing a global market. India is rapidly making the shift from being the world’s software developer to becoming a creator of software solutions and products in its own right. While Pune’s startup scene has been overshadowed by that of Bangalore and Delhi, it has quietly had organic growth. According to Mandar Joshi, Executive Director of TiE Pune, there are now over 400 startups in Pune and according to iSPIRT, 21% of India’s product startups are from Pune. Today Pune has large technology campuses, each housing tens of thousands of employees for India IT/ITes companies such as TCS, Infosys, Wipro, Tech Mahindra, and Cognizant. Foreign companies too have been attracted to Pune. Telecom giants Avaya and Amdocs have set up their global in-house centres (GICs) here, employing thousands. 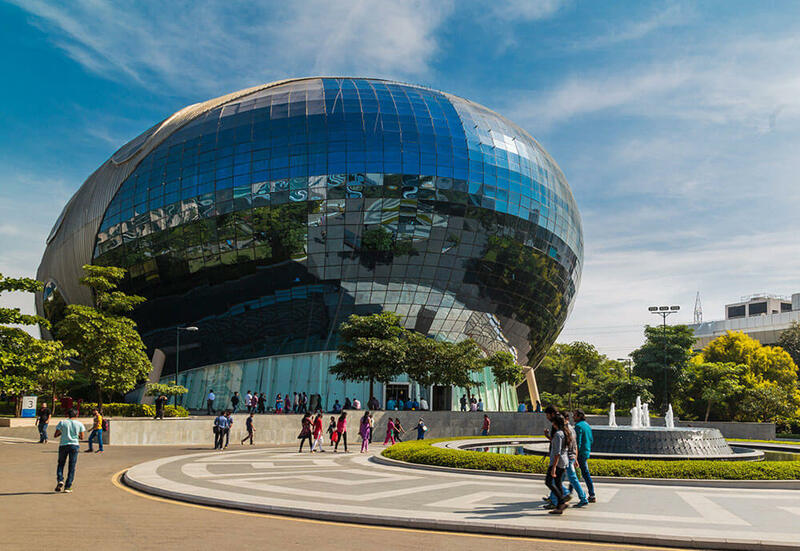 Last month, Cisco also announced that they will set up a software delivery centre in Pune, their first such foray outside of Bangalore where they have 8,000 employees. While still nascent, the startup ecosystem is gaining momentum on its own. There are grassroots organizations feeding the startup scene and local angel investors are active. One of India’s most prestigious business schools, IIM Ahmedabad, has launched a Centre for Innovation Incubation and Entrepreneurship in Pune. High growth start-ups such as Druva, Pubmatic, and Airtight Networks are providing an anchor to the industry. TiE Pune is very active, hosting dozens of startup-related events and a “nurture” program to help jumpstart entrepreneurs. Even though there is not a Pune-based VC fund, Pune startups are attracting investments from local angels and from VC funds located outside of Pune. In the Think Pune 2014 report, Karthik Reddy of Mumbai-based Blume Ventures said: “Pune has always boasted of engineering talent of the highest quality. Our first fund has three very innovative startups out of Pune. With the surge of active angel investors and given its proximity to our Mumbai base, we see it growing in importance as a hub for great founders and start-ups for Blume”. Similarly, Gireendra Kasmalkar, a self-described “Pune longtimer” whose company Verisoft was acquired by German software QA giant SQS and is now the founder of Ideas to Impacts, feels the Pune is on the cusp. “The tipping point seems just around the corner. The critical mass seems to be there now. I have seen some start-ups first-hand such as Navstik, who have built an OS and software platform for drones, that should break-through. That’s all that is needed”. As mentioned above, Pune is a great source of engineering talent. But recently I’ve also seen Pune emerge as an attractive career destination for engineers based in Delhi and Bangalore. The traffic congestion of Bangalore and the air pollution of Delhi are causing young engineers and their families to search for a better quality of life. Pune has better weather and air quality than Delhi, similar weather to Bangalore, and less traffic congestion than both. Pune has reached a critical mass where job opportunities abound across large and small companies. One recent hire at our portfolio company TaraSpan moved to Pune from Noida, near Delhi. A key consideration in accepting our job offer and moving his family was the ability to find another high quality job in Pune as his next career step and for employment opportunities for his wife. Having said this, Pune needs to invest in its infrastructure now to ensure that it maintains this advantage in the future or else it risks getting behind the infrastructure curve and will struggle to get ahead. Transportation infrastructure is one key area that needs attention. The airport is located on an Indian Air Force base, meaning that domestic flights can only operate during specific windows in the day and few international flights exist. The aforementioned traffic congestion of Bangalore will become a reality in Pune unless steps are taken to broaden the transportation networks with expressways, road improvements, and public transportation such as a metro rail system. I believe there is a huge opportunity to launch a Pune-focused early stage startup fund that can nurture and groom startups to be series-A ready. The stumbling blocks to achieving success include a lack of early stage funding and startup mentorship. While grassroots initiatives and programs from organizations such as TiE Pune are providing maturity to the ecosystem, a professional VC fund is required in Pune to accelerate startup successes. Our Alacrity India startup fund aims to be such an enabler by bringing world-class early-stage mentorship and acceleration programs to Pune, as well as global reach and partnerships, coupled with Indian angel and industrial partners.